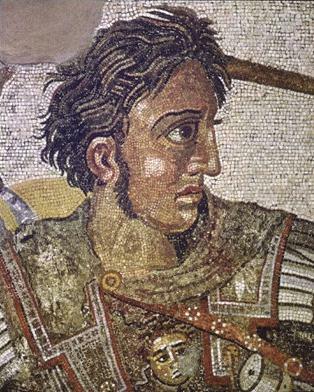 Alexander conquered most of the known world of his time. His empire stretched from Macedonia to Persia to Egypt to the North-Western border of India. He was a legend even during his time. There was speculation about whether he was god or demon, because of the kind of superhuman feats he performed. He himself believed that he was the son of Zeus-Ammon, a thought that was probably reinforced and kindled by his courtiers. It probably started as a mere whim in the oasis of Siwah, however, it later took roots in the depths of his being, and his self-aggrandizement blinded him to the reality that after all he was merely human. And it is this fact, that he was after all a mere human being that makes him stand out; that makes you take notice of his unbelievable achievements. Here was a man, who walked in flesh and blood, a man who went on to conquer the whole world before he was thirty-two. I am not a historian. I don’t even claim to have an extensive knowledge of history. However, I can safely call myself a history enthusiast. I love reading about the past. I guess it all started when I was in Class IV. My parents bought me a book which dealt with the lives and times of some great names in history – Chandragupta Maurya, Ashoka, Julius Caesar, Akbar, Napoleon, Garibaldi, Mahatma Gandhi. I was fascinated by the book and the personalities that it described. However, the character that captured my imagination was Alexanderos Philippou Makedonon, known more popularly, as Alexander the Great.